Federal Bureau of Prisons Director Charles Samuels testified that of the over 218,000 individuals in federal institutions, approximately seven percent reside in restrictive housing units. Most notorious of these is the ADX Florence facility in Colorado, where the 490 individuals held there are held on average in isolation for over 500 days, many for years. “All inmates in our restrictive housing units have contact with staff, out of cell time for recreation, and an opportunity to program,” Director Samuels said. 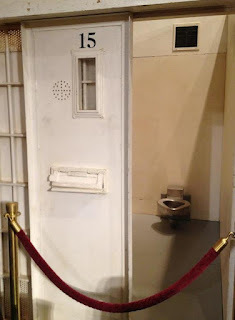 These concerns have been reported by the bipartisan Commission on Safety and Abuse in America’s Prisons, which found that the use of solitary confinement is associated with higher recidivism rates. Grotesque descriptions of self-mutilation and bizarre behaviors such as coprophagy were testified to in the hearing, and in my own correspondences with supermax inmates such issues are commonly reported. Self-harm often escalates to suicide attempts. According to Senator Durbin, since 2006 there have been 116 suicides in the federal prison system, 53 of which took place in isolation units. Mississippi may hold the key to reducing the use of solitary confinement. Mississippi Department of Corrections Commissioner Christopher Epps testified to the dramatic reduction of Unit 32 at Mississippi State Penitentiary, Parchman. In 2007, Corrections officials reexamined the criteria by which inmates were placed in “administrative segregation” and determined that the practice was overused. Since 2007, there has been a reduction from over 1,300 to currently 316 incarcerated individuals in administrative segregation, most of whom (188) are participating in a program allowing them to transition out of segregation. There is reason to believe that prisons are overusing solitary. In California, one can be placed in isolation for “possession of five dollars or more without authorization.” In North Carolina, self-mutilation may result in up to 30 days in isolation. In Virginia, there are Rastafarians who have been held in isolation for over a decade for refusing to cut their hair. It is my hope that this issue finally gets the critical examination and public attention it deserves. To watch the hearing, click here. To listen to recent NPR coverage, click here. Sal Rodriguez is a JPI summer intern and manages the Solitary Watch blog.